When I told a professor I wanted to study inter-organizational trust he gasped a bit and rolled his eyes. Now I know why. While we glibly talk about trust, the subject is incredibly complex. Look for photos of “trust” and you’ll find a lot of handshakes, rock climbing and people throwing babies in the air. Beyond trust in personal relationships, we don’t have a very clear picture of what trust is and yet it’s been called the “glue”, the “lubricant”, the “oxygen” of business and social exchange. For twenty years, researchers have been unable to arrive at a solid construct or definition of trust in a business context. In fact, Professors Bill McEvily & Marco Tortoriello, authors of Measuring trust in organisational research: Review and recommendations published in the Journal of Trust Research found that, despite the universally accepted importance of trust, there continues to be little empirical work, low rates of replication, and a lack of convergence on how to define and measure trust in, and between, organizations. At the same time, Enron, Leaman Brothers, political scandals and financial crises plunge us in a world of increasing distrust. Since loss of trust leads to increased costs and lost opportunities…. Shouldn’t we be concerned? Shouldn’t we know more? “We know much better what trust does than what trust is” wrote Castaldo et al. in their 2010 review of marketing, strategic management, psychology, and sociology literature. In it, they found 96 definitions of trust in a 50 year period. Trust can be considered a state of mind or an expectation, a behaviour or decision, a process, a mechanism to coordinate expectations or interactions or a moral obligation. And I thought I could sort this out in three months? Not quite, but based on these readings, here’s what I’ve surmised. 1. Trust = ability + benevolence + integrity… or some variation thereof. This formula, proposed Mayer, Davis & Schoorman in 1995, has been generally accepted as a psychological definition of interpersonal trust. While it’s a solid place to start for organizational and inter-organizational trust, it doesn’t take into account any organizational factors like culture, contracts, training, etc. 2. Trust is a relationship. You have to trust a person, group, organization (although there’s debate surrounding whether organizations can trust each other). As in any relationship, there generally exist some reciprocity and interdependence. 3. Trust involves risk. There has to be a possibility of a loss, a vulnerability that the other will act opportunistically or in a self-serving manner – otherwise you’re talking about confidence, faith or co-operation. There exists a “freedom to disappoint” the other’s expectations (Gambetta, 1988, p. 218) and the probability of this disappointment occurring is unknown (Hosmer, 1995). 4. Trust has a positive expectation. Despite the risk, the trustor and the trustee believe something good will come of the decision to trust. Otherwise, they would not accept the relationship. While some people equate trust with predictability and reliability, it is possible that someone will always be late or unkind. So while predictability and reliability are often elements of trust, they are not “enough” nor are they synonymous. 5. Trust involves goodwill or benevolence. The magic and essential ingredient to trust, benevolence is the extent to which you consider the needs of the other party, going beyond your own needs. More on that in Week 5. 7. Trust is dynamic and ever-changing. The degree and type of trust changes with new information. With each interaction, trustors assess capacity, integrity, reliability, benevolence and a host of factors. As trust grows, it can be transformed into a deeper and more resilient type of trust. Here’s a chart I created based on my readings. 8. Trust factors change at different organizational levels. Scholars Martyna Janowicz & Neils Noorderhaven introduced the concept that what drives trust is different depending on your position in the organization. They created the concept of “strategic-level trust” which exists at the executive level and is driven more by calculation due to the focus on organizational strategy and objectives (2006, p. 273); and, “operational-level trust” which exists at the daily transactional level and where boundary spanners trust one another on a more psychological and interpersonal level to allay personal risks and anxieties. For example, “My supplier at OrgA will deliver the product on time so I can meet my obligations.” This point is important since we need to know what’s important to our trustors in order to build and maintain trusting relationships. 9. Trust moves among interpersonal & intergroup levels. You’ve experienced this yourself. You trust the graphic artist in marketing because she’s friendly and always does great work. Eventually, you get to know people in the department and they all have a great work ethic and go the extra mile for you so you trust the department and eventually, perhaps, the broader organization. Conversely, you could trust an organization because they have high standards, great training and are committed to sustainability, so you decide to collaborate with them and extend your trust to the people and team within the organization. At each stage, however, you are assessing different factors. To complicate matters just a bit more you may also trust an organization, like a bank, but not an individual teller or advisor and vice-versa. 10. Trust is generative. It creates more trust! Not only does trust move and change, it also increases or decreases. That is, trust can build on itself in a positive spiral or decrease in a negative spiral that is extremely difficult to stop or reverse. Trust has a built-in feedback loop because you receive new information with every interaction and from the context. The more trustworthy signals you receive (verification of capability, integrity, quality, responsiveness, etc. ), the more trust increases. There are also some interesting psychological factors that lead you to unwittingly filter information to preserve and support your existing assumptions. For example, if you distrust someone, you are more vigilant for signs they are not being trustworthy and may discount proof of capability, benevolence, reliability, etc. Once that distrust reaches a certain level, it is very difficult to recover the relationship. Conversely, if you trust someone, you find reasons to justify that belief, feeling or behaviour. 11. Trust is multi-dimensional. There are psychological elements to trust, such as “propensity to trust” (your natural or cultural predisposition or tendency to trust), calculative elements and social factors. Calculative elements: Reliability, predictability, dependability. You can measure and assess these factors based on past history and reputation to gauge potential risks and benefits. Psychological elements: propensity to trust (whether you are more or less trusting), the benevolence or goodwill or the trustee, feelings and emotions, attitudes and behaviours. 12. Trust varies in different institutional, industry & cultural contexts. While fairness and reciprocity are trust factors across cultures, other trust elements can vary by country and culture. For example, Sako (1998) and Sako & Helper (1998) found that Japanese suppliers distinguished among different types of trust, conceptualized trust differently and were more trusting than their US counterparts. Reinhardt Bachmann found that trust was higher in countries where traditional guilds were strong, like Germany. Intuitively, it makes sense that countries with rampant corruption will have lower levels of trust whereas stable countries or those with a history of guilds or stringent regulation will have more. As discussed in Week 1, The Edelman Trust Barometer provides a snapshot of generalized trust in organizations in countries around the world. While Edelman’s survey measures broad levels of individual trust in organizations, these individuals take their perceptions to work every day and their “predispositions” will colour their trust within the organization and with partner organizations as well. Similarly, certain industries and organizations are more “cut-throat” and others more collaborative and trusting. 13. Trust varies by type of relationship. An occasional transaction may only need low trust but a long-term or complex collaboration needs more. Other findings show that trust can vary based on the type of stakeholder and based on whether organizations are vertically or horizontally integrated. Still, more research has found that trust is higher when partner organizations are geographically closer, perhaps because there is an increased frequency of contact or more similarity in culture. Organizations need to understand these differences in order to target their trust investments wisely. 14. Trust evolves over time…Or does it? This one pokes at a major trust myth and is a bit of a conundrum. While we expect the length of a past relationship to be indicative of trust, many studies on inter-organizational trust have found this NOT to be the case. Length of past relationship has been shown to have no impact on future orientation (Ganesan, 1994), supplier choice (Doney & Cannon, 1997), or inter-organizational trust (Sako & Helper, 1998). With respect to boundary spanners, Currall & Judge (1995) found “no significant relationships…between the trust scales and the length of time they had known each other” personally and professionally (p.165). More recently, Gulati & Sytch (2008) found a non-linear relationship between joint history and trust between boundary spanners. That is, there was a gap before trust began to build. Rather than focus on the past, trust seems to be predicated on the vision and promise of the length of a future relationship.That’s why Transaction Specific Investments are so important in trust building. (Come back Week 6 for more on that). When it comes to trust, it’s not so much where you’ve been together but where you plan on going. 15. Trust can be a cause, an outcome or a mediating variable. Sometimes trust exists in the first place and is the cause of a collaboration. In other cases, trust has to develop and is an outcome. Finally, if trust is a factor that leads to higher productivity or better outcomes, then it is considered a mediating variable or factor. Whew! The good news is that all of the above apply to trust on an inter-personal, organizational and inter-organizational level. The basis, or antecedents, of trust… that’s another story. 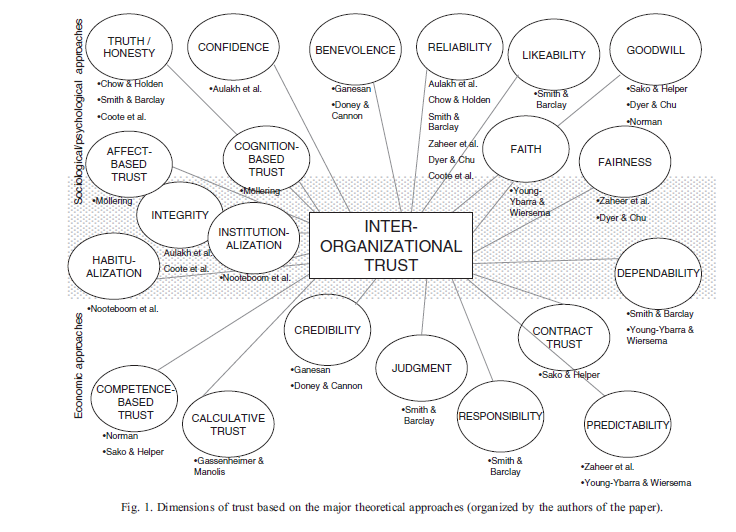 To give you one snapshot of the range of dimensions used to measure or explain inter-organizational trust in studies from 1990-2005, here is a chart from Seppanen et al.’s 2007 review of empirical research on inter-organizational trust. Source: Seppänen, R., Blomqvist, K., & Sundqvist, S. (2007). Measuring inter-organizational trust- a critical review of the empirical research in 1990-2003. Industrial Marketing Management, 36, 249-265. You may now have an idea why that professor rolled his eyes. Now let’s add a few more dimensions to what we may mean when we say “trust”. Interpersonal trust: This is trust between two people based on your own and the other’s characteristics and the risk we are prepared to take by entering in a relationship (business or otherwise). The Mayer et al. (1995) formula Trust = ability + benevolence + integrity works well here. Many people believe that interpersonal trust is the foundation of all other relationships. That if you like and trust the salesperson, then you will trust their company. Others believe that this is too limited, and that trust in and between organizations has to withstand turnover and has to be greater than just a relationship between two people. Organizational trust: This involves trust among people within an organization. It can include trust between an employee and her manager; an employee and the general leadership team; the employee and a specific leader, or trust between groups. It can also take into account trust created and supported by impersonal measures such as HR policies geared towards fairness, procedures and distributive justice (compensation, opportunities, etc.). Beyond interpersonal factors, information about policies, processes and the environment are included in the trust equation. The company takes on a persona of being benevolent or having integrity based on how it treats its people, its processes, its culture and norms, etc… Leaders signal to their staff what types of behaviours will be rewarded. So the next time you hear: “They have major trust problems in that department!” probe a little more to find out whose trust? in whom? and on what basis? “Interorganizational trust emerges as the overriding driver of exchange performance, negotiation, and [reducing] conflict” (1998, p.153). Rejecting the “collective state of mind” approach, Reindhardt Bachmann and Andrew Inkpen (2011) take a broader approach and view all inter-organizational relationships as stemming from, and contributing to, an organization’s practices, norms and rules. They define inter-organizational trust as a way of coordinating “expectations and interactions in relationships between individual actors (i.e., managers) and/or collective actors (i.e. organizations)” (p.283). More importantly, they maintain that the secret to reversing declining trust in organizations is to look at institutional trust factors, “macro” factors for “macro” results. The state of trust is so dire, we cannot afford to build trust one manager, one relationship at a time. 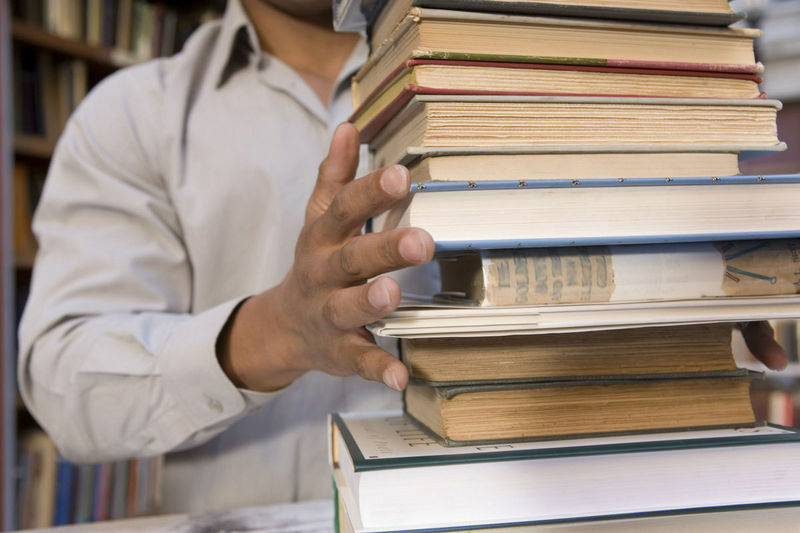 Perspectives on inter-organizational trust may also be influenced by your field of study or the type of literature or trade publication you read. While most scholars and practitioners accept the role of trust in inter-organizational relations, some economists -most notably, Nobel Prize laureate and father of Transaction Cost Economics (TCE) Oliver Williamson (1993)- maintain that since trust is basically a rational calculation of the risk of being taken advantage of, there is no “leap of faith” or trust at all. Transaction Cost Economics expects that a business partner will act opportunistically or try to take advantage of the other unless hierarchy, contracts, and control mechanisms are in place to reduce the risk. (That’s Week 6). These economists propose a control approach rather than a trust-building one. Still, since we never have complete information or can hope to eliminate all aspects of risk, that calculation can never be accurate so there must exist some degree of trust. Luckily, not all economic theories draw such a hard line on trust. Marketing scholars are eager to adopt trust. They focus on relationships in distribution channels (suppliers, retailers, etc. ) and define inter-organizational trust as reliance “on an exchange partner in whom one has confidence” (Morgan & Hunt, 1994; p.23). Quite differently from the economics perspective, their view expects benevolence and joint gain. They see trust as creating a bigger pie rather than zero-sum game. 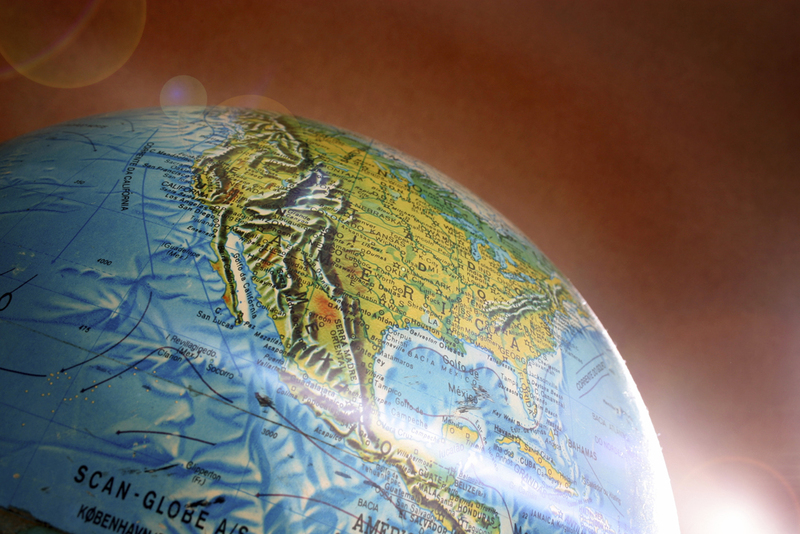 The Ethics Perspective requires goodwill. It’s not a nice to do but a moral obligation to consider the interests of other parties in every stage of the relationship. Inter-organizational trust “is the expectation by one person, group, or firm of ethically justifiable behavior – … morally correct decisions and actions based upon ethical principles of analysis – on the part of the other person, group, or firm in a joint endeavor or economic exchange” (Hosmer, 1995, p.399). The obligation holds at every step of production, promotion and distribution. Finally, Strategic Management scholars integrate the calculation of Transaction Cost Economics, the benevolence of ethics as well as the institutional factors of sociology. They focus on how formal and informal institutional measures can contribute to trust building and improved business performance. In this view, if investing in trust doesn’t provide a competitive advantage, there may be no point in pursuing it because, as we will see in Week 10, the cost of building trust can be prohibitive in some cases. Well, this has been what is referred to in the blogosphere as a “pillar” article. 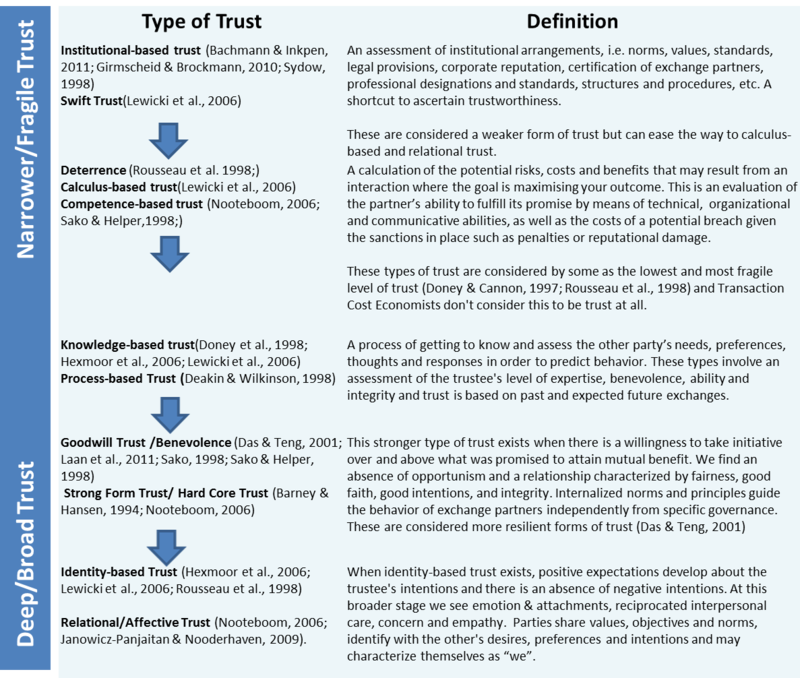 I hope it provides a snapshot (one of those panoramic ones) of key elements of trust that must be considered when we talk about trust in and between organizations. It’s the springboard for the next few weeks of discussion on inter-organizational trust. I’m so tired of bland and unhelpful pronouncements like “To be trusted, be more trustworthy” so I hope you’ve gleaned new information about this essential, multi-faceted and dynamic organizational factor and that it can help you to ask more probing questions within your organization. 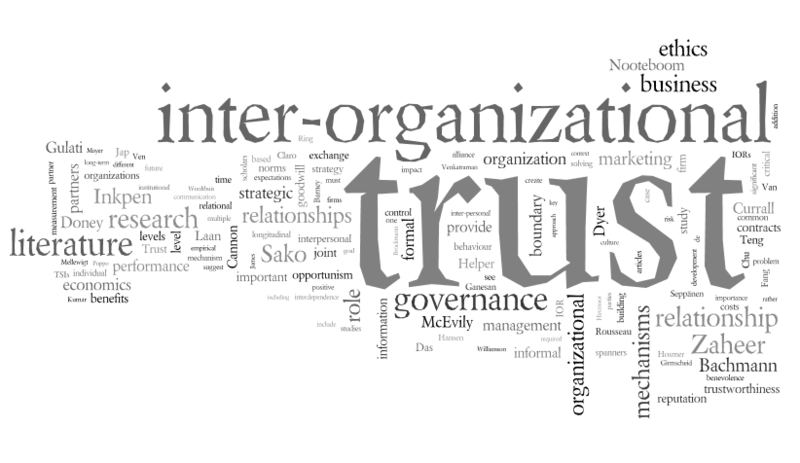 Next week we’ll take a closer look at inter-organizational trust, why it is so critical and many of its benefits. Until then, I welcome your comments, questions, observations, stories and resources. Dare I trust that you’ll be back?